Free MTSU program helps parent..
MTSU seeks nominations of ‘uns..
More than 5,060 MTSU students are included on the latest Dean’s List for their academic achievements for the fall 2017 semester. This list, alphabetized by home county and surname, is the final compilation by the MTSU Records Office of the names and hometowns of students receiving the Dean’s List distinction for the summer. The searchable PDF is available by clicking here. To qualify for the Dean’s List, a student must maintain a current semester grade-point average of 3.5 or above and earn at least 12 semester hours. The “Dean’s List” notation applies only to undergraduate students. MTSU’s lists are updated after each semester ends and student grades are posted. An archive of recent Dean’s Lists by semester is available here. 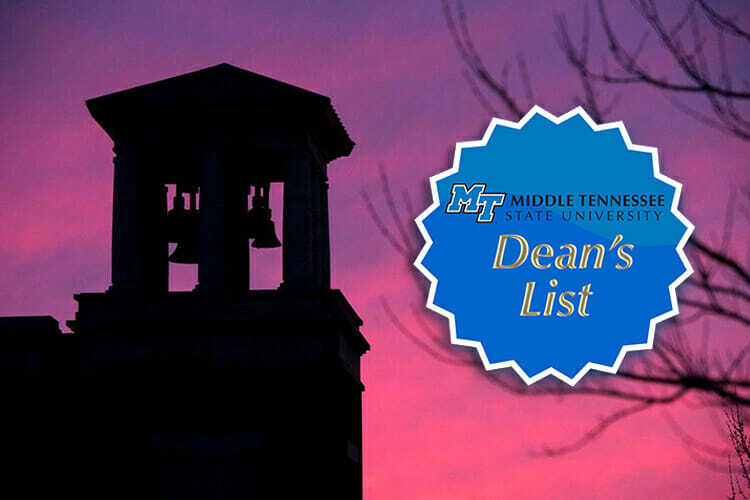 Please note: This updated Dean’s List information is provided by the MTSU Registrar’s Office and is compiled from information from each student’s official records. The Office of News and Media Relations does not compile nor create the final dean’s list. For questions about an individual student’s inclusion on the list, please contact the Registrar’s Office at 615-898-5170 or records@mtsu.edu.